Did you have a nice weekend? It rained so much here that we had to scrap our weekend plan and just stay indoors. Which ended up being not too bad because we were able to catch up on some of our favorite shows! Plus the rain totally cool down the heat we've been having here, so it feels quite nice now. 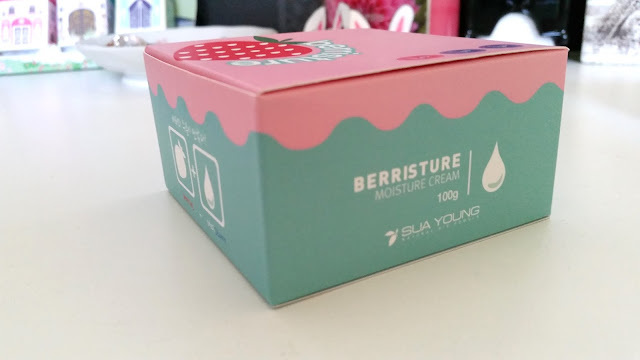 This Mask Monday's review product is the Sua Young Berristure Cream. It's quite an interesting product actually and I've been using it since before summer started. 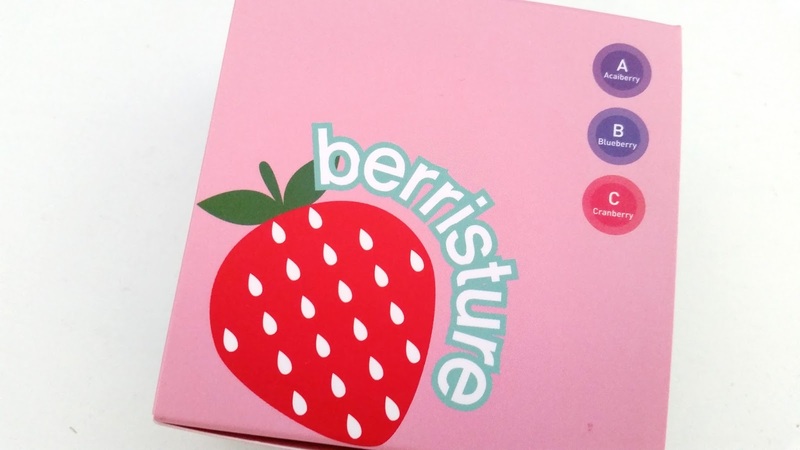 The Berristure has such a unique name too! 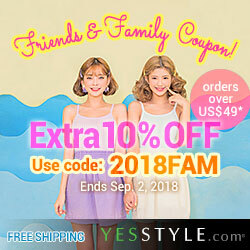 Actually, I think a lot of Asian beauty products have some pretty unique names or super long names, or both. 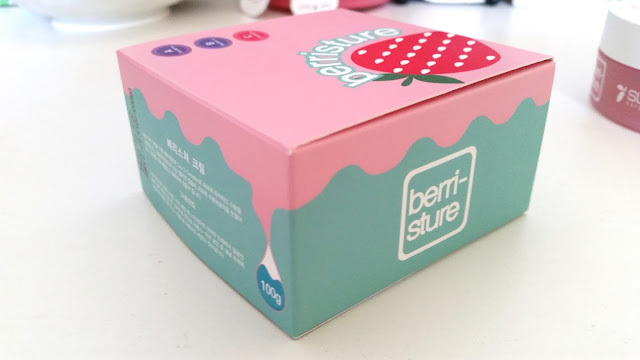 Anyways, let's jump in and get to know this unique Berristure cream! 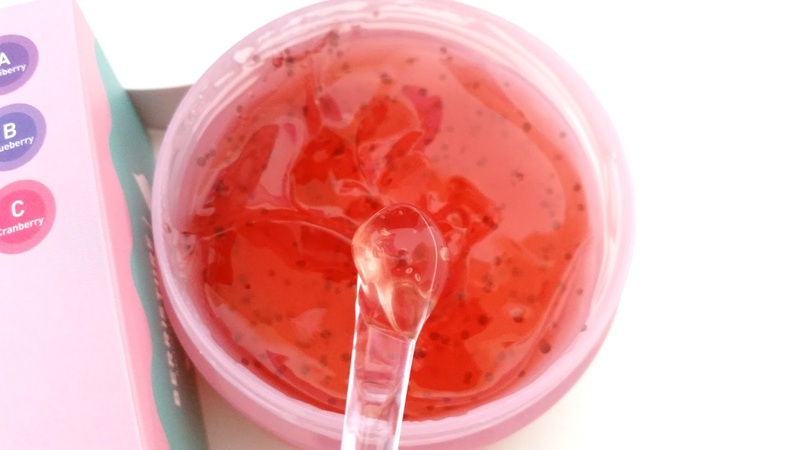 Product Description: A unique facial mask packed with berry extracts and the Cos 5 complex. The mask includes 8 different berry extracts: acai berry, blueberry, cranberry, blackberry, strawberry, raspberry, aronia, and bilberry. It works to deliver moisture to the skin and instantly replenish the skin. 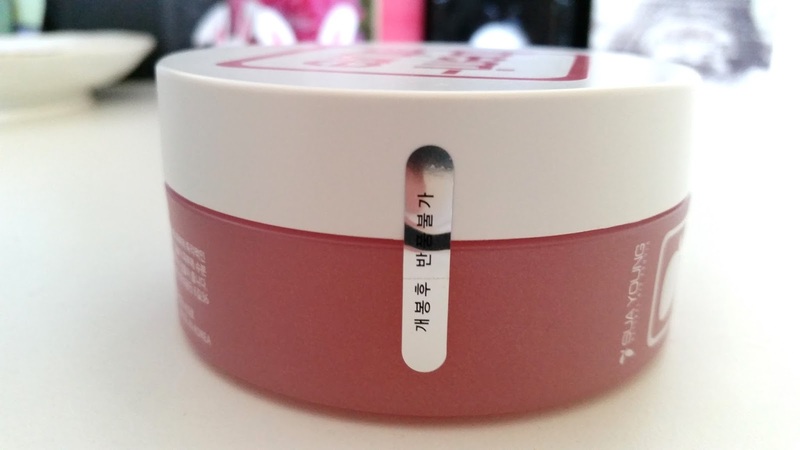 The mask contains seed like collagen capsules that break during application and releases the ingredients to make the skin more elastic and supple. This facial mask can be used as the last step in a skin care routine as the sleeping mask or it can be used as a wash-off mask. To Use: When being used as a sleeping mask, apply it as the last step in the skin care routine. When being used as a wash off mask, take an appropriate amount and spread it on the face. Try to use a thick layer. Leave it on for 15 to 20 minutes and wash off. 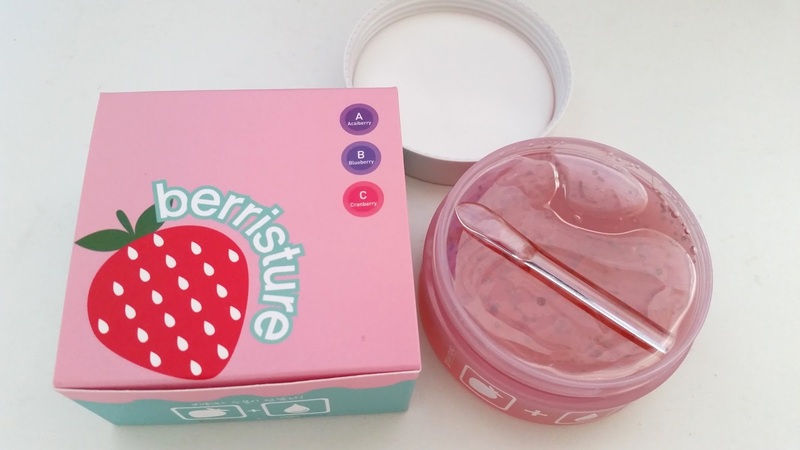 Ingredients: Water, Glycerin, Glycereth-26, Diglycerin, Butylene Glycol, 1,2 Hexanediol, Niacinamide, Pentylene Glycol , Trehalose, PEG-240/HDI Copolymer Bis-Decyltetradeceth-20 Ether, Hydrogenated Polydecene , Carbomer, Triethanolamine, CI 15985, CI 17200, Vaccinium Angustifolium (Blueberry) Fruit Extract , Euterpe Oleracea Fruit Extract, PEG-40 Hydrogenated Castor Oil, PPG-26-Buteth-26, Sodium Polyacrylate , Hydrolyzed Collagen , Adenosine, Fragrance, Acacia Senegal Gum, Cacao Color, Vitis Vinifera (Grape) Seed Oil , CI 61565, CI 47000, CI 26100, Phenoxyethanol , Avena Sativa (Oat) Kernel Extract, Portulaca Oleracea Extract , Solanum Lycopersicum (Tomato) Fruit Extract, Nelumbium Speciosum Flower Extract, Corchorus Olitorius Leaf Extract, Aloe Barbadensis Leaf Extract, Rubus Coreanus Fruit Extract, Houttuynia Cordata Extract, Rheum Palmatum Root Extract, Lonicera Japonica (Honeysuckle) Flower Extract, Camellia Sinensis Leaf Extract, Lycium Chinense Fruit Extract, Zizyphus Jujuba Fruit Extract, Chrysanthemum Morifolium Flower Extract, Glycyrrhiza Glabra (Licorice) Root Extract, Cornus Kousa Extract, Rosa Multiflora Fruit Extract, Torreya Nucifera Extract, Musa Basjoo Extract, Chloranthus Glaber Extract, Fragaria Chiloensis (Strawberry) Fruit Extract, Vaccinium Angustifolium (Blueberry) Fruit Extract, Rubus Fruticosus (Blackberry) Fruit Extract, Rubus Idaeus (Raspberry) Fruit Extract, Vaccinium Myrtillus Fruit Extract, Vaccinium Macrocarpon (Cranberry) Fruit Extract, Aronia Melanocarpa Fruit Extract. Manufacturing and expiration dates can be found at the side of the box. Despite it's name with the word 'cream' this is really a mask product. I find that a lot of Asian beauty products have words in its name that doesn't actually describe its product, but that's a story for another time. 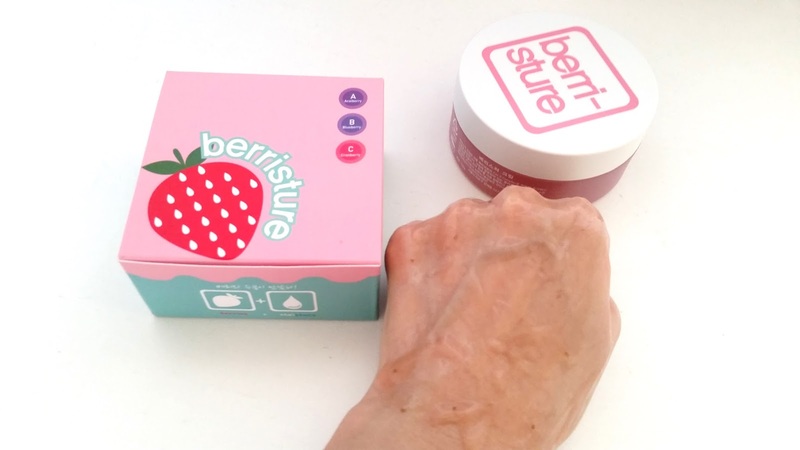 Berristure: the name comes from combining the words berry and moisture. Packaging: Admit it, the packaging on this Berristure is adorable. It's not like a fruit shape or anything but it is cute in its own way. 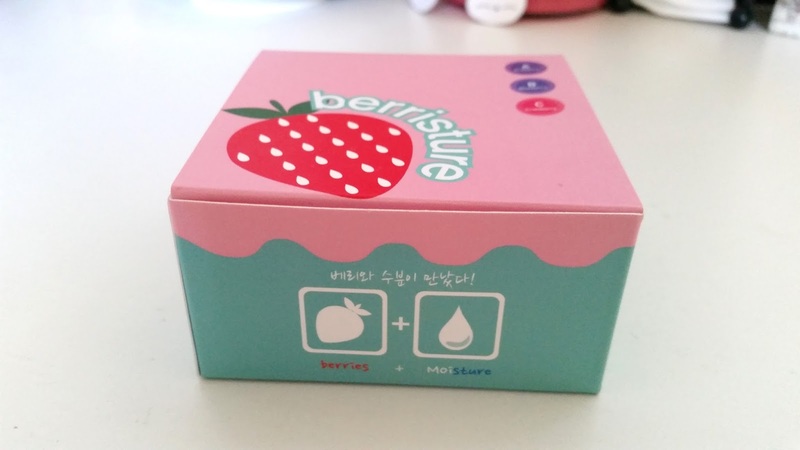 The product comes in a pretty box with descriptions mostly in Korean. The container inside is tub like and it's frosted as well. The mask also comes with a spatula. Texture: The Berristure has a gel-jelly like texture that's very unique. It's consistency seems jelly like at first but when you dip your spatula in, you see the gel like texture with a jelly like twist. It's quite fun to play with! 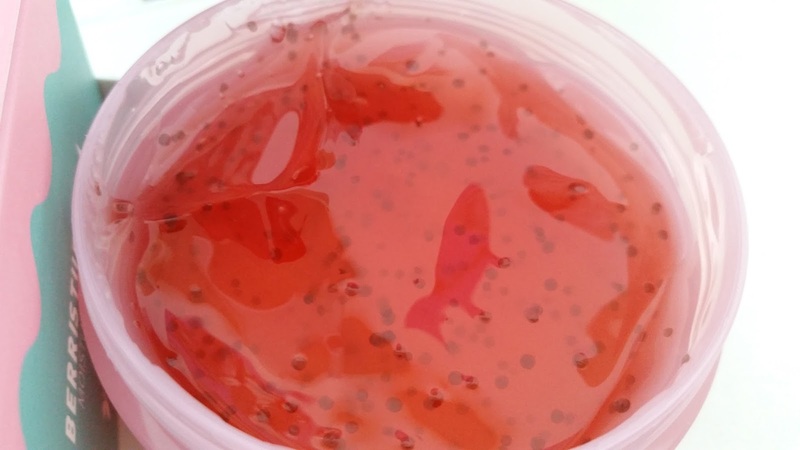 Color: The gel-jelly like mask is opaque pink in color. The collagen capsules inside the mask looks like little black seeds. Scent: It's got a berry like scent mixed with floral scents and additional fragrance. The berry like scent smells like mixed berries but it's very light in the mix, which is disappointing because I had hoped for a fruity treat. It mainly smells floral with a mix of a fresh fragrance like scent. It's not what I expected at all. It's also a bit on the strong side as well. The seal makes sure that the product is actually fresh and real. My Thoughts: Let's start with the disappointments this time and get it over with. The biggest disappointment for me is the scent of this product. I expected fruity, I mean, it has the word berry in it's name. However, what I got was more of a floral fragrance like scent which although does not smell bad on its own, personally, I don't think it's great as a sleeping mask scent. It's not a scent that I would sleep with on my face. If you know what I mean. Secondly, the mask's unique texture does not always play well with the other products in my skin care routine. I've tried layering it thin and I've tried layer it a bit thicker (which is how I like my sleeping masks most of the time) and both times I've had issues with things. 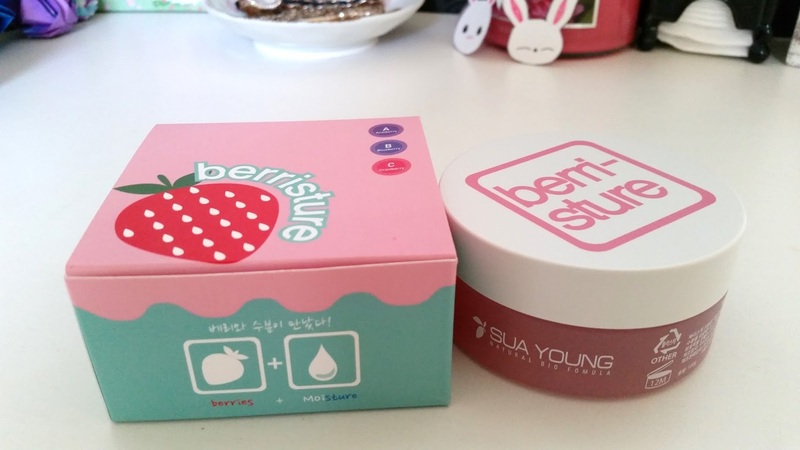 Unlike many sleeping mask, this mask takes quite a long time to be absorbed into the skin. If I apply it thick, I'd have to be up for an extra hour or 2 for it to be completely absorbed so that when I sleep nothing gets smeared off on my pillows. Even when applied as a thin layer, I'd still have to wait 45 minutes or so. When applied on top of other skin care products, it can become sticky. Which can be a big issue because I have a fluffy and furry pet who, well, sheds. So if I sleep with a sticky face, I'll be sure to wake up with some fur in the morning. Plus, who wants to sleep with a sticky face anyways? So with that said, let's move onto why I still use this mask and how I use it. The mask can be used in 2 ways. As a sleeping mask or as a wash-off masks. With my above disappointments, it's clear to see that I do not use it as a sleeping mask. Instead, I like it as a wash off mask. It was after my disappointments that I decided to try it as a wash-off masks. I wasn't sure what to expect, but I ended up loving it. It still has the same floral fruity scent, that still throws me off once in a while and I still don't think it's a great mask scent. However, what it does to my skin is wonderful. Every time I use the mask, it leaves my skin feeling supple and smooth. Due to its gel-jelly like texture, the masks feels cool when applied making it perfect for summer time to help cool down the face. My skin feels relaxed after each use and it looks a little brightened as well. I love that it does not irritate my sensitive skin and the mask has an abundance of extracts and nutrients to keep my skin healthy! I like to keep my mask in a cool place so when I use it, it feels extra cool on my face. I apply a thick layer each time and leave it on for 20 minutes or so. What's great about this gel-jelly like mask is that you can do whatever during that 20 minutes without worrying about it falling off. I usually do a small facial massage at the beginning after I applied the mask and once again at the end before I remove the mask. It feels great and I get to do 2 things at once. 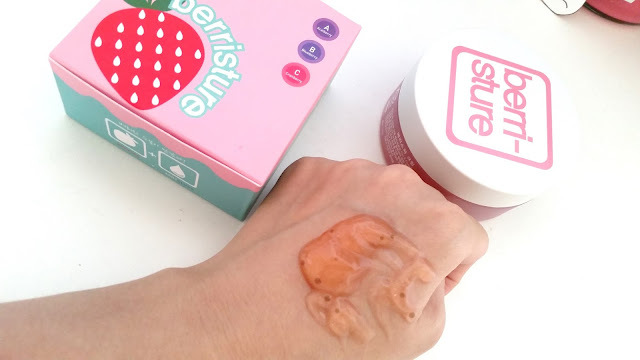 This mask actually reminds me of my Annie's Way Jelly masks. The textures are similar and both are very fun to apply and use. I am a little shocked that this mask retails for $40. 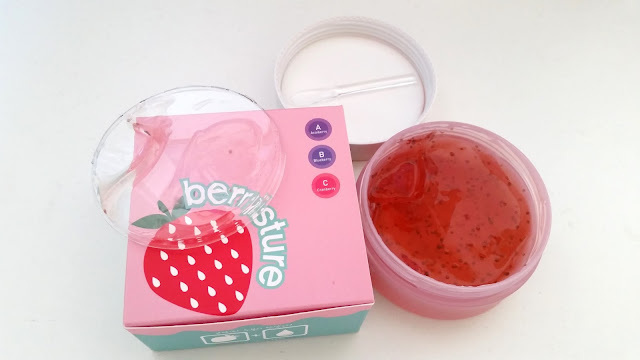 The jelly masks are like twice its size but only half it's price. From the Cos 5 Complex, it seems like this Berristure mask is suppose to have good long term effects, like prevent skin damage and keep skin healthy. I've been using this mask once a week for 2 months now and I have not seen any major changes or effects. Will let you guys know when I finish this mask if it really has long term effects worth its $40 price. Ah the spatula, which seems like an essential these days and just about every tub product comes with one. Unfortunately, not all spatulas are made equal and some just fall short behind the others. This spatula seen in the picture above would be one that's fallen short, especially for the Berristure. The texture and nature of the Berristure requires a wider spatula to help scoop up enough products at once so you do not have to double dip. Unfortunately, the spatula pictured here is too small for that and if you want enough mask, you'll have to double maybe triple dip. Which is a no-no. Unless you plan to sanitize your spatula before each dip in which case sounds like such a hassle. I just ended up using a different spatula. I have a lot now since just about all the tub product I have comes with one. I can almost open up a spatula store! Final Thoughts: For me, this is a great wash-off mask. It's not so great as a sleeping mask, but that's personally preference. It moisturizes, soothes, cools, and brightens the skin. The skin feels smooth and supple after each use, which is nice as well. I like that it comes in a big tub and can last for quite a while. I can't say if it's worth the $40 price tag but maybe with more time it'll show. Would I purchase this product again in the future? Probably not. As I've mentioned before, I'm not the biggest fan of the scent of this mask. It does not smell terrible, but it's just not something I like for facial/sleeping masks. It's a bit on the stronger side for my liking. However, the amazing properties it brings to the skin are reasons why I still use this mask. Disclaimer: All opinions are honest and my own. This product was purchased by me with my own oney. Thank you for this review. I have one of these and couldn't figure out if it was a moisturizer or cleanser. 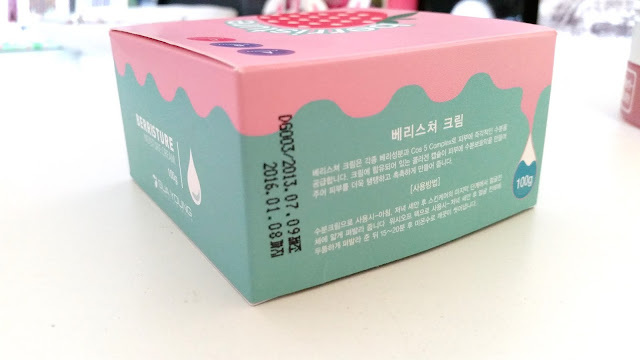 It was given as a gift, and as I am Korean, the gifter assumed I could read the Korean writing. I haven't lived in Korea since age 4, so you can see how although I can speak some Korean (like with my mom) I never did learn how to read it. Interesting about it being called a cream since it is a mask as you pointed out. My mom also has a tendency to call things not what they are. One time when shopping she asked the lady behind the makeup counter for a "scrub" but actually was wanting a peel-off mask. I've never figured out why she does that. Sorry for the late response >.< been super busy lately but I'm glad the review was helpful! How do you like the product so far? I totally feel you on that some products are called 1 thing when they mean another. Think I've came across a few other products like that, for example, some toners are called 'skin'. I tried looking it up before but couldn't find anything on it. Would love to know why though too.